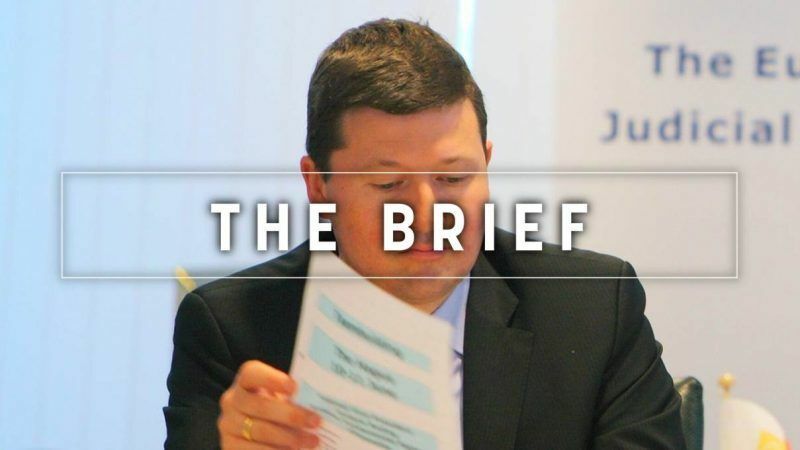 The Brief, sponsored by Danfoss – What’s more important than Selmayr? Next May, EU citizens will directly elect the new European Parliament. Faced with a surge of anti-EU and anti-system sentiments, they need to be reassured that the good old EU is doing things right. But is it doing the right things? As the old saying goes, it takes a spoonful of tar to spoil a barrel of honey. With the Selmayr case, the powerful Commission, guardian of the treaties and holder of the EU monies, pitted itself against the European Parliament in March, and now against the European Ombudsman. And of course, it pitted itself against the European press. In terms of communication strategy on Selmayr, the Commission adopted a style inspired by the Orwellian Ministry of Truth. Ombudsman Emily O’Reilly, who found four instances of maladministration in Selmayr’s appointment, said that the inquiry was “based on an inspection of thousands of pages of Commission internal documents” that were meant “to make the appointment process appear normal”. The Commission, which said it doesn’t share the Ombudsman’s views, answered those pages “were unprecedented transparency”. The institution also insisted that trust in the EU, “in particular in the European Commission”, increased during the period Selmayr’s appointment was made. With this “double speak” in mind, can the Commission really be trusted on other issues, such as the health or drinking habits of Jean-Claude Juncker? Mr Juncker will not be up for re-election, but he and his services are certainly not helping the election of his inevitable successor. The Ombudsman found that the entire 28-member Commission is collectively responsible for the maladministration in this case. Indeed, any of the Commissioners could have said something, but nobody spoke. This collective guilt will not go unpunished. Any Commissioner seeking re-election will notice that during the job hearings in the new Parliament. Will the next president, whoever he or she is, even need Selmayr as Secretary General? Who needs a pebble of this size in their shoe? Why this obstinacy to fight for Selmayr no matter what? And if Selmayr was such a committed European as all seem to agree, why didn’t he resign? Realising the potential of an energy-neutral water sector. It is time to reduce water loss, cut energy consumption and deliver better quality of water to our citizens. The EU’s Drinking Water Directive revision must include clear objectives to accelerate investments in a sustainable drinking water management. Learn more about how Danfoss is rethinking the water sector. Following Fitch agency’s decision to lower the outlook on Italy’s debt rating, Rome is on collision course with the EU over the country’s budget deficit. The real Eurozone thriller is taking place in Latvia: as the investigation into the governor of the Latvian central bank has put the country under the spotlight, read our four-part series looking at the ‘Switzerland of the Baltic states’. China’s investment largesse could dwarf the EU in Africa. But the country’s massive and expanding “Belt and Road” project is running into speed bumps as some countries begin to grumble about being buried under Chinese debt. A German far-left politician launched a cross-party movement modelled on the populist campaigns of US Senator Bernie Sanders and Britain’s Labour leader, Jeremy Corbyn. Governments are ‘not ready’ for crucial climate change meeting in Katowice COP24, Fiji PM Frank Bainimarama said at the opening of climate talks in Bangkok. But the clock is ticking, here you can find out how much hotter your hometown is now compared to when you were born there. Agriculture production in the EU is under enormous pressure, at a time when other major farm markets in the world are growing and EU farmers are ‘hostages’ of unstable politics and technology gap, a new report claims. Facebook has been blocked in the Libyan capital of Tripoli and other cities as fighting between rival groups rage. A group of Europe’s best-known film directors taking part in the 75th Venice International Film Festival have come out in support of the upcoming EU copyright bill, to be voted on in the September plenary. Emini S&P Trading Secret swings the Emini S&P market and this indicates that this is the easiest way to make money.